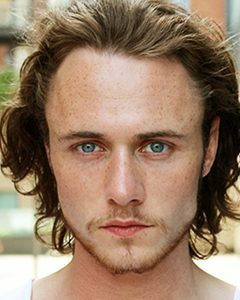 Jack McEvoy can currently be seen in Vikings as Helgi the Lean. Jack enjoyed many years as a youngster growing up in the acting field. As he progressed into his late teens, Jack culminated a strong reputation among Irish theatre circles for his performance in ‘Our Country’s Good’ which toured in Ireland for the first time. Fresh out of Drama School he was cast as Riley in TG4’s 1916 ‘Mother.’ Jack was then cast in Ripper Street for BBC and Amazon as Charlie Tanner. He played the lead role in ‘The Treebearer’ and spent 9 months on Vikings in the role of Helgi the Lean and most recently was cast in End of Sentence, The Rhythm Section and Rose Plays Julie. Mother Riley Wesley O'Duinn Brick Stone Prods.